Exercising and staying active is an important part of living a healthy lifestyle for individuals of all ages. However, many elderly people stop exercising at a certain point, particularly if they have had health problems in the past or have recurring medical issues. It might seem difficult for many elderly individuals to exercise, but there are a variety of activities that can be tailored to the needs of almost any older adult. 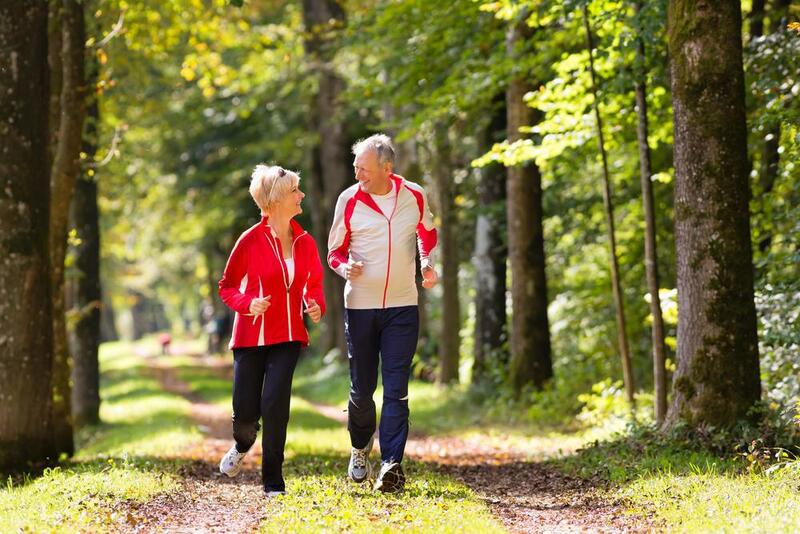 Use these exercise tips to stay healthy through your golden years. Walking is one of the best exercises for aging adults, particularly those who haven’t done any sort of strenuous exercise in some time. Waling is ideal is because it can be done at any pace almost anywhere in the world – even at home or at the gym on a treadmill if the weather is bad. When you first start walking, just try going for 15 or 20 minutes at a comfortable pace. Don’t push yourself – it’s not a race. As you get used to walk, try moving a little faster and increasing the duration of your walk to 30 minutes or more. Ideally, you should be walking about 30 to 45 minutes per day if it is your primary form of exercise. Many elderly adults, even ones who used to love going to the gym, stop doing any sort ofstrength training when they get older, thinking that they might get injured. The truth is that injuries are more likely to occur if you allow muscle to deteriorate at a faster rate – something that happens naturally as you age. You don’t have to do bench presses with huge weights or Olympic dead lifts to get the benefits of strength training. Even doing 10 or 15 reps with small free weights and using resistance bands or machines for your legs can be enough to make you stronger, more balanced and to boost your metabolism. Yoga is an activity that many older adults may be unfamiliar with. However, it is becoming more and more popular with elderly individuals just like it is around the world for people of all ages. Yoga can be particularly beneficial for older adults because it combines relaxation, stretching exercises and light strength training exercises since the body’s weight is often supported by only certain areas. Another reason yoga is so beneficial for older adults is because it can be done in different levels, from beginner to advanced. When you first start doing yoga you’ll likely want to take a beginner class or learn basic poses on your own. These classes tend to be less strenuous. However, as you advance and find out how beneficial yoga is, you may want to move up to more strenuous and advanced classes that challenge your flexibility, balance and strength even more. Exercising is an important part of staying healthy. However, if you have medical problems you’ll want to talk to your doctor about your plans. They may be able to recommend alternative activities or give you tips on how best to perform your desired exercise. If you don’t have health problems, start slow and work your way up to more intense exercises. Listen to your body and know you’re making yourself healthier each time you exercise. Contributors: Kim Farmer owner of Mile High Fitness and Tara Heath. Tara Heath is a journalist who lives in Southern California. She has a passion for writing about health & wellness, especially when it comes to kids and elderly people. No matter what age you are make a healthy lifestyle a priority!